Many young children are naturally shy when experiencing new situations. But what do you do if you have an extremely shy child? What if shyness prevents her from interacting with—and having fun with—other children? What if being very shy prevents her from participating in activities at preschool or kindergarten? Shyness is a developmentally normal and common characteristic among young children. It’s a natural response to what may seem like a scary or overwhelming situation. But shyness is difficult to address because it’s a mixture of emotions. Shyness can include fear, tension, apprehension, and anxiety. Different levels of shyness can occur throughout a child’s development, according to early childhood experts. For example, infants are naturally fearful of new adults. And at age 4 or 5, children can develop self-conscious shyness, or the fear of embarrassment. Usually, shyness gradually goes away as children grow older and experience a variety of new situations. But the child with extreme shyness may take a lot longer to warm up to people or situations. She might need your help to overcome her shyness. How do I know if my child has extreme shyness? He doesn’t respond when an adult or peer asks him a question. She follows directions but doesn’t respond verbally to them. When she does speak, she usually speaks in a very soft, quiet voice. He turns away when he’s spoken to by others and makes little or no eye contact. He often looks at the ground. She watches other children play, but doesn’t join in. She looks tense, distracted, or worried. He might refuse to enter a new place without a parent. 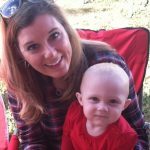 What can I do to help my extremely shy child? As a parent or caregiver, you can gently encourage your child to become more outgoing. Keep in mind that your child isn’t being shy out of stubbornness, so she shouldn’t be punished for shy behavior. Instead, consider dealing with shyness as any other learning process, such as learning to read. The key is to be patient, gentle, and understanding with your child as you boost her confidence. Explain the benefits of being more outgoing. Chances are, you were once a very shy child. Or, you may still be shy in certain situations. A predisposition to shyness has been linked to genetics, although this trait can be overcome. If this is the case, give a personal example of a time when you overcame shyness. Explain why that experience was good for you. Discuss the good things that will come from acting more outgoing. These things can include making new friends, having more fun, and enjoying school more. Set goals and reward progress. Work with your child to set behavior goals and track his progress. Start small and gradually build. For example, one manageable goal might be to say hello to a neighbor. When your child reaches the goal, mark it on a progress chart. Offer lots of praise or a small treat as a reward. Praise outgoing behavior. Reinforce the new social skills your child is learning. When you see her attempting to overcome shyness, praise her with lots of warmth and affection. Be careful not to do this in public if your child is likely to be embarrassed. Instead, tell her how well she has done in private. Model outgoing behavior. Your child learns how to act in large part by watching you. So, be sure to act friendly toward others in front of your child. This might be difficult if you have struggled to overcome extreme shyness yourself. But keep in mind that your child is likely to imitate your actions. If you act shy in front of him, then he will have a more difficult time overcoming his own shyness. Build your child’s self esteem. Children who feel good about themselves are less likely to be shy. Identify your child’s strengths and build on them. Is he creative? Is she athletic? Encouraging these skills will allow your child to see himself as a talented and capable individual. This sense of confidence can help him become braver in social situations. Buster the Very Shy Dog by Lisze Bechtold. Three stories feature Buster, a dog who tries to overcome his shyness in the midst of some bossy animals. Maya’s Voice by Wen-Wen Cheng. Maya has just started school, but she cannot find her voice. Children who have selective mutism or just don’t enjoy talking will especially identify with Maya. Too Shy for Show-and-Tell by Beth Bracken. Sam wants to participate in show-and-tell at school, but he is just too scared. Children who hate to be the center of attention will understand Sam’s dilemma. Shy by Deborah Freedman. Shy hides inside the gutter of the book because he is too shy to come out. But then he hears a beautiful bird and can’t wait to meet her. The clever concept of an unseen character will captivate children, along with the beautiful watercolor illustrations. Little Miss Shy by Roger Hargreaves. Little Miss Shy is invited to a party, but she is too scared to go. But she learns that when she overcomes her shyness, she can actually have more fun. Communicate with teachers. If your child attends preschool or kindergarten, team up with the teachers. Create a plan together for helping your child overcome his shyness. Talk frequently about the strategies you’re using at home. Work together to set goals for your child. With a consistent approach both at home and at school, you can increase the results of your efforts. 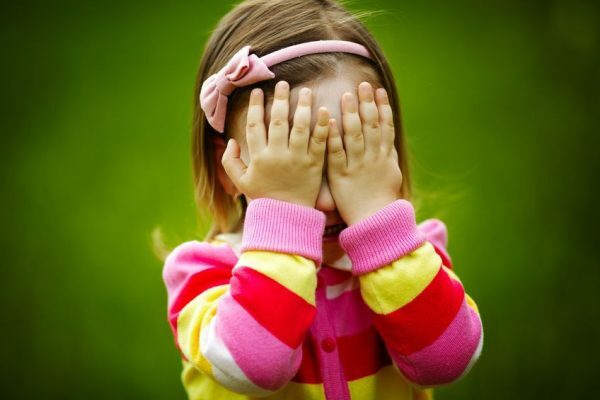 Does your child have extreme shyness? How have you helped him or her? Add your suggestions in the Comments section below. We’d love to share them with other parents of extremely shy children! Susan Light is a mom, a grandmother, a journalist, and an educational expert. She is a senior editor at Rainbow Educational Concepts, and she blogs regularly for Dilly’s Tree House. Susan focuses on research-based topics for parents of preschoolers and ways to help young children get ready for kindergarten. Thanks for sharing your experiences. You are a great mom! I’m sorry I must have missed this earlier. Thanks for these tips that could help a shy child. I’m glad that you mentioned how your behavior in social situations can impact your child, especially since they usually imitate a parent’s actions. Sometimes learning by example is the best way for a child to learn. If it’s something that both of you struggle with, maybe it can be good to let them know about it and explain what you are trying to do to improve. It can make them feel more validated about their shyness while also trying to fix it like you are. Thanks for your great comment, Taylor. Glad you found this helpful. My daughter is extremely shy, i dont know if you said that she’s shy, like she go to school and do homework and she’s very smart and she cant stop talking when she’s at home but when its come to talking to teachers or adults, she go blank, it always take her time to adjust and i am not sure how much time is acceptable for child to adjust in school like one or two week, in her case it took her one month to start talking to friends and girls in her class, and she got rejected admission in one school to her shyness, so i dont know what to do else or how to explain it as not all the people understand this specially i am based on dubai (UAE), the thing is she knows, when i asked do you know why you didnt accepted in that school, she was yes because i didnt talk, so please any tips can help as i trying all the things mentioned above. Dilly’s Tree House is an award-winning learning program for children ages 3-5. Our team of early childhood experts is dedicated to the mission of helping parents prepare children for kindergarten. We build confidence, vocabulary, thinking skills, and creativity with research-based, beautifully designed products used in thousands of preschool classrooms. Judi Coffey is a mom and grandmother, as well as a former kindergarten and special education teacher. 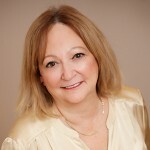 She is the co-founder and CEO of Robert-Leslie Publishing, The Early Childhood Company®, publisher of the award-winning InvestiGator Club® and Dilly’s Tree House ™ inquiry-based learning programs for school and home.